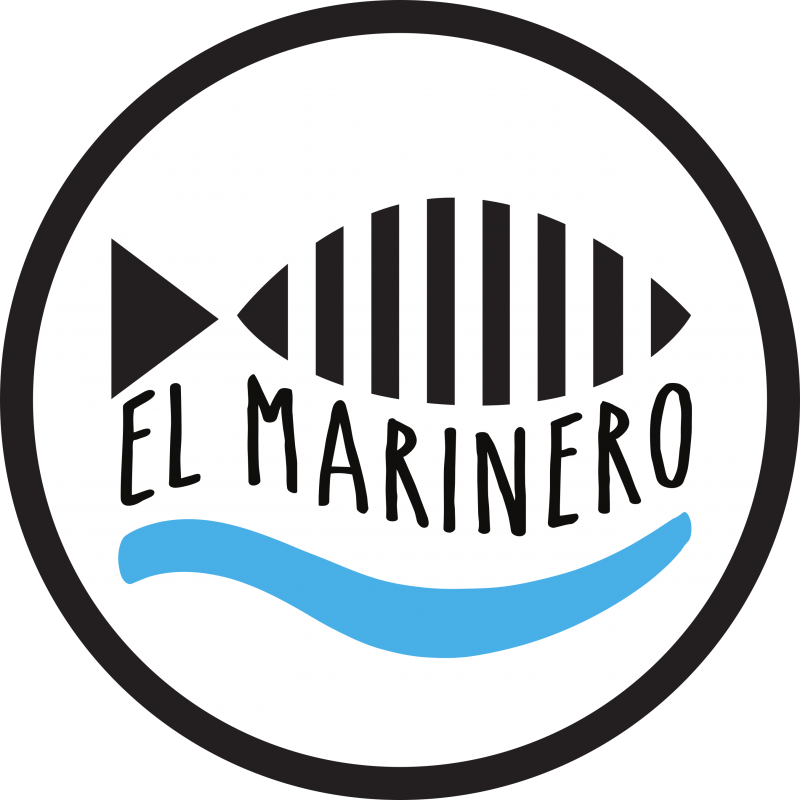 El Marinero is the latest addition to the London Street Food Scene. 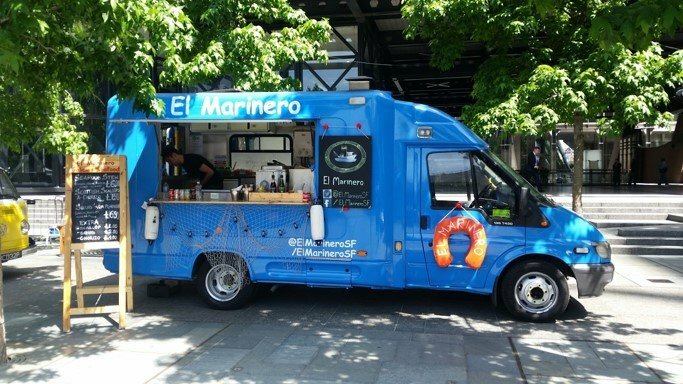 Specialising in Spanish Seafood inspired from the Region of Galicia. All our seafood is picked up from Billingsgate, all our food is cooked from scratch, to order. We make all our sauces and don't use any MSG, GM or colouring. 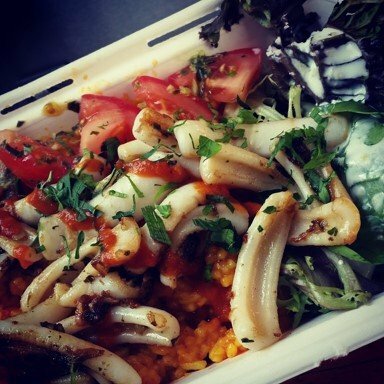 All our packaging is compostable. 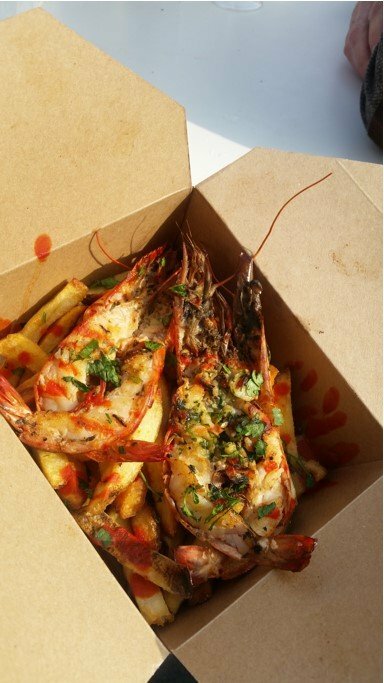 King Prawns drizzled with olive oil, cooked on a griddle and finished with garlic and parsley. Served with our signature Spanish round rice and a seasonal salad. Depending on the market. Served with hand cut double cooked chips. Squid drizzled with olive oil, cooked on a griddle and finished with garlic and parsley. Served with our signature Spanish round rice and a seasonal salad. Tiger Prawns split in the middle, cooked on a griddle with garlic, olive oil, parsley and lemon juice. Flambéed with Brandy and served with double cooked hand cut chips. 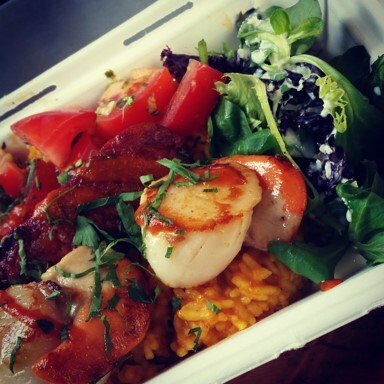 Scottish scallops cooked on a griddle and served with Spanish chorizo. 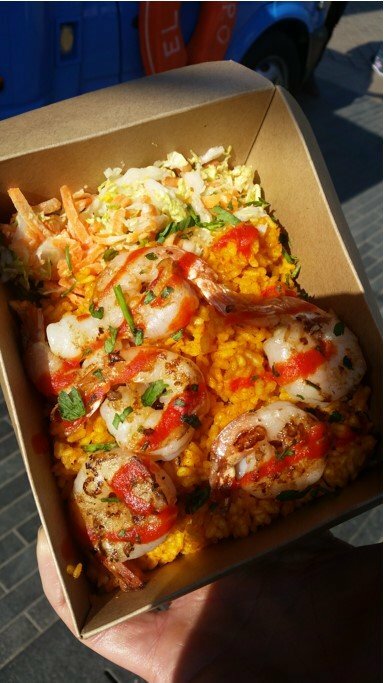 Served with our signature Spanish round rice and a seasonal salad.